May 19, 2017 SEOBy DEANknows! SEO BASICS – Learn the Top 5 SEO Techniques to Drive Traffic to your website. 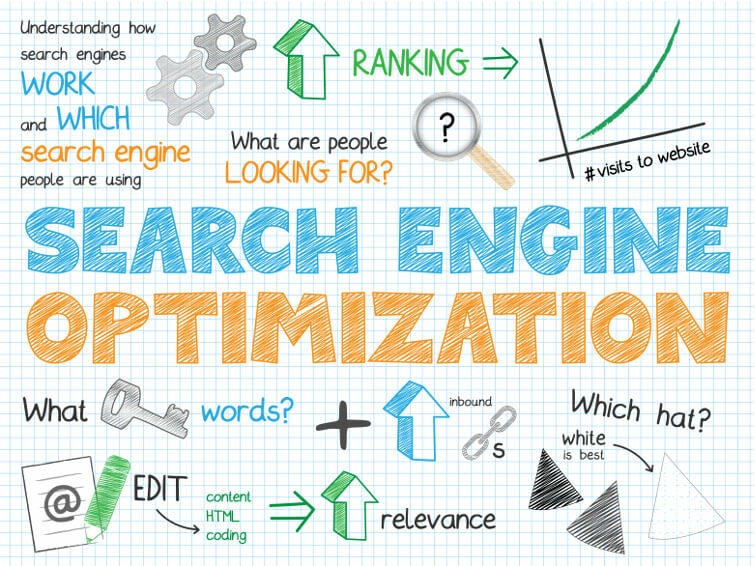 These are the foundation of all Search Engine Optimization. There are many specific things that can be done to organically rank your website on page 1 of Google, but EVERY SEO campaign contains most of these. A site can be successful without any one or two of these with a high level of focus on the others, but that needs to be planned out in advance with an overall strategy. If you have a long standing domain that you use, this particular option is not for you. If you are just starting out, and purchasing a new domain for your adventure, make sure that domain not only describes your business, but has keywords in it. That means you should do at least a minimal amount of keyword research to see what people are putting into Google. Once you know the keywords, you can easily search your domain provider like Godaddy, or you can use a tool like BustaName which will let you enter in keywords and find available domains that contain those keywords. They have neat options like “include hyphens” an will let you pick what extensions (.com .net .biz .tv etc) you are willing to go with. You want your new domain to be as short as possible, memorable, scream what you do and contain keywords. Most likely, you wont be able to fit all of those criteria, so pick and choose wisely and if you have to omit one of the previously mentioned “domain want to have’s” then make sure you make it up in spades with others domain metrics such as domain age. An easy to read URL structure is not only useful to the end user, but is very powerful for search engine optimization. What I mean by URL structure is having a very clean layout such as this: www.sitename.com/food/desserts/apple-pie as opposed to www.sitename.com/home/us_1/abclass_desserts%/food2/%newpost_apple-pie. If you notice, the first layout is very logical, your sites name then food then deserts then apple pie. You may have another page/post about blueberry pie at www.yoursite.com/food/desserts/blueberry-pie. If you were to have a post on fried mushrooms, its URL structure would be something like www.sitename.com/food/appetizers/fried-mushrooms. Your the keywords that are referenced in your URL structure will play a huge part of how you rank in search engines. Siloing your site is a slightly more advanced concept. Its very similar to the visual structure of what we talked about in “URL Structure” but this has more to do with what pages/posts are giving Link Juice to other related pages on your site. To Silo your site makes it very easy for Google’s bot to look at your site (crawl it) and see what pages refer to others. Each silo consists of a main keyword and subsequent pages/posts that link to it within a common theme. The links from every page don’t point outside the silo, but only to pages within the silo. A great analogy is 4 jars of jellybeans with 4 different colors of jelly beans. If all of the colors of jelly beans are spread throughout the 4 jars, it looks like a mess. This would be all pages linking to other random pages on your site. If each jar is full of ONLY one color jellybean, then its nice, clean and easy to crawl. To properly silo a site takes quite a bit of keyword research to find out what your main page (parent) is (most sought-after keyword) and then the most sought-after keyword within that silo, which would be another page and so on. The main page becomes the Parent, the page below becomes the Child and Grandchildren pages and so on. The advantages of structuring a site in this manor are very powerful. Not only will Google find it easier to understand the structure of your site but because of the Parent Child relationship, link juice applied to the bottom of the silo (approximately within 5 pages) will push link juice up the silo! You can easily have multiple pages ranking well for the broader searches while dominating the long tail keyword searches as well. Having multiple pages end op on page 1 of Google is called “blanketing a search”. Google is said to look 5 pages back from the page its crawling. So in our above example of apple pie —- www.sitename.com/food/deserts/apple-pie — if you apply link juice to the apple pie post, it travels to the food page then to the root domain page. This significantly magnifies your inbound link power while increasing your sites Trust Flow (read about domain metrics) of because you can use fewer links to rank the site. This is by far the least technically challenging but the hardest aspect of SEO to deliver. Google loves content…let me take that back, Google loves FRESH, UNIQUE and ORIGINAL CONTENT. Google likes to see the site continuously updating with content that people are interested in. If that content gets syndicated out on social media, you have a much better change of having more people read it (visit your site) and share it (so other people come to your site) and those views help you rank for that article and the silo it is within. It does you no good and can potentially harm your SEO if you post other peoples content to your site. Writing an article, pertaining to something in your industry, which is of consequence, using keywords and internal links (blogging) is a powerful tool. 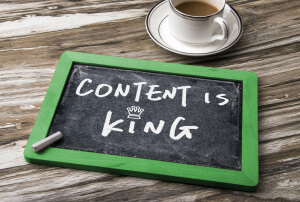 You should be putting out at least 4 pieces of Custom Blog Content for your site to rank well. If you are not comfortable or have the time to or resources to produce that content, I strongly recommended paying a copywriter to produce blog content. Backlinks have been the cornerstone of SEO Optimization since inception. 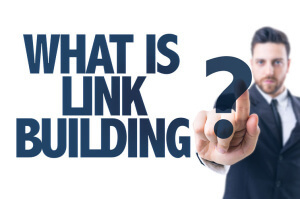 Back-links generally happen organically after you produce quality content. Google warns that naturally having backlinks to your site created should be the ONLY way they come to exist. That ponders the question, if you e-mail someone and say “read this great article” and they end up backlinking to your site, is that totally “natural”? That begins the slippery slope. Somewhere down that slippery slope of massaging the acquisition of new backlinks, you pass Google’s line and they penalize you. At the end of the day, if USAtoday.com ends up writing an article on Mandeville Homes For Sale and when they use that term, it links to your real estate website, then Google sees that a quality website is using you for a reference. That shoots your SERPS (search engine ranking page) way up. It is extremely important to understand that the credibility of the website that is linking to you is directly correlated to how Google ranks your site. In the above example, USAtoday.com was using you as a reference, if you have a spammy or brand new website link to you, that throws up red flags to Google and can actually penalize your sites rankings. It is very important to monitor who is linking to you and to disavow any links from sites with questionable motives. Google looks at social media posts like any other website page–if it gets crawled and indexed. Even with a direct pipe from Twitter they can not (and probably don’t really want to) crawl every single tweet. BUT…if a super user tweets a link to your website, not only will you get a ton of traffic from that, but Google will see that traffic coming from a “quality” website—IE super user on a high quality website. For instance, if Rand Fishkin were to tweet about you (with a link), or write about you from hiz MOZ blog (with a link) your rankings will skyrocket. In no way does this list encompass all of the SEO Techniques out there. As a matter of fact, we are only scrapping the surface of each category. This will however, give you a good starting point and solid questions to ask if you are entertaining hiring an SEO Company.